Well everyone, we made it without alien invasion, the second coming, Mayans, Aztecs, Incas, undead zombie-mummies, or flying spaghetti monsters throwing a spanner in the works. I hope everyone had a wonderful Christmas and New Year. Mine was good with good food, good company and some awesome presents. Books and booze. What else do you need for the cold winter evenings to be curled up in a big chair with a good book. Although winter is perhaps a big misnomer around here. While the weather is entirely vile and bleak and the news is full of coastal areas being flooded (luckily no where near I am!). But so far we still have to see an entire night of frost. The way which it is going right now, it looks like winter may skip us all together. But you know what they say. Forecasting the future and the weather is about as useful as trying to tell a time in a clock shop. So time shall tell what the weather will be. Well after a short hiatus where my computer decided to overheat and I needed to deal with that, hard to write if your computer is not working. And while I have both a laptop, a tablet and a mobile phone (so I could write if I desperately wanted to …), writing for me is still best done on my desktop. So onwards we go. As promised, in this blog I will talk a little bit about the numbers that make up this blog. 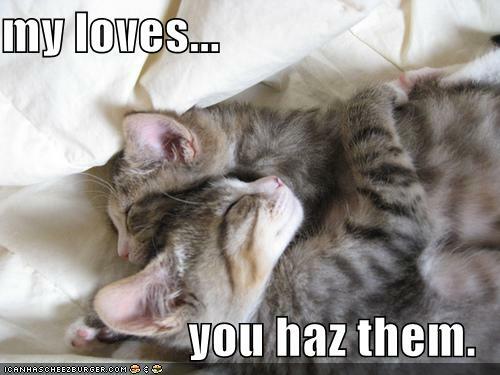 my lovez, you all haz it. I was gonna write a longer blogpost tonight about what is happening in the wonderful weird world of lex but seems events are conspiring against me. Still letting you know I am still alive 😉 I wanted to post the below image which is completely filled with cuteness. Above all, I want to thank my Mistress Thalia, and both my sis’s Velicia and Vanni ..
than you ever may realize and I am thankful and honoured for knowing you.